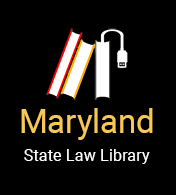 All of the Maryland rules governing landlord and tenant relations in privately owned rentals also apply to those living in and renting units that are considered section 8, HUD, or public. However, there are some added protections that only apply to section 8, HUD, and public housing. The following tips will help you navigate many of these added safeguards. What is the application process for subsidized and assisted housing programs? All subsidized and assisted low-income housing programs (like public housing, HUD housing, and section 8 housing) are open only to people of limited income, although the exact limits vary. Most housing programs are for families with children or individuals in a single-person family units who are elderly, handicapped or have been forced to move by government action or a disaster. A number of housing projects and complexes are limited to elderly or disabled people. If you are eligible for a subsidized or assisted housing program but there is no appropriate size unit or section 8 voucher available, the landlord (in the case of HUD housing), or housing authority (in the case of public housing or section 8) must put your name on a waiting list, unless the list is already more than one year long. If you are on a waiting list, you should keep in touch with the landlord or housing authority and tell him/her whenever your address changes. If you are not placed on the waiting list or are not admitted, the landlord or housing authority must tell you why and give you 14 days to give any more information that can help your application. In order to live in HUD housing, you must complete an application. The owner of the rental cannot refuse to take your application unless the waiting list requires a year or longer wait. If your name is placed on a waiting list, the owner may offer you a pre-application form that requests enough information to determine whether you would be eligible for the program. Screening of Applicants for Suitability: credit checks, rental history. Obtain social security numbers from all household members age six or older. For more on how to apply for public housing, see HUD’s website. For more on how to apply for Housing Choice Vouchers (Section 8), see HUD’s website. For more on how to apply for Section 8 vouchers in Baltimore City, see the Housing Authority of Baltimore City’s website. When you move into a public housing unit, HUD complex, or section 8 unit in the private rental market, the landlord must give you a written lease and a list of any damages already in the unit. The HUD and public housing lease are standard leases approved by the federal government, (in the case of HUD housing) and the local housing authority, (in the case of public housing). The lease will state the rights and responsibilities for both the tenant and the landlord. You should read the lease carefully and retain a copy. What is in a Section 8 Lease? The U.S. Department of Housing and Urban Development (HUD) provides funds to the states to subsidize rental housing for low income families. This program (known as the Section 8 Certificate/Voucher Program) is managed in Maryland by the state Department of Housing and Community Development Administration through local administering agencies. The administering agency at the local level is generally the Housing Authority or the Housing Department. Under the Section 8 Certificate/Voucher Program, landlords agree to rent property that meets federal occupancy standards to individuals who have been issued a Certificate of Family Participation. Landlords sign a contract with the Community Development Administration or the local administering agency, which will guarantee payment to the landlord as long as the property and lease adheres to federal regulations. The U.S. Department of Housing and Urban Development, through the administering agency, subsidizes that part of the rent plus utilities that exceeds 30% of the participating family's monthly income. However, under certain conditions in the rent voucher program, the family’s share of the rent may be more or less than 30%. Families must find their own housing, and the rent must generally not exceed fair market value for the property. To qualify, a family's total income must be usually 50% or less of the median income for the area in which the rental housing is located. In addition to single elderly, disabled or handicapped persons, those single persons who are displaced from previous housing by governmental actions, or who are the remaining family members of a tenant family in the program, may be eligible for the Section 8 Certificate/Voucher Program. The section 8 lease is drafted by the landlord (not the housing authority or HUD). The section 8 lease must contain the following information: the names of the owner and tenant; the address of the unit; the initial term of the lease (the initial lease term must be for one full year) and any provisions for lease renewal; the amount of rent; and, a list of what utilities and appliances are to be supplied by the owner and those supplied by the tenant. Serious Violation (such as failure to pay rent, repeated violations of the lease, violation of federal, state, or local law regarding a tenant obligation in connection with the unit), or “Good Cause” (such as failure of a tenant to accept a new lease, a history of family disturbance of neighbors or property, the owner’s desire to use the unit for personal, business, or family use, sale of the property or renovation, or desire to raise the rent). Can the terms and conditions of my rent or lease be changed? The lease is a binding contract between the tenant and owner (in the case of HUD and section 8 leases), or the housing authority (in the case of public housing leases). The terms and conditions of the lease cannot be changed during the lease term, and the owner or housing authority cannot raise the rent during the term of the lease. The landlord may change the terms and conditions of the rental agreement at the end of the lease term, provided he has received approval from HUD or the housing authority to do so. The tenant must be notified of any changes in the lease in the same way that he would be notified of termination of the tenancy, including at least 60 days’ notice in Baltimore City and at least 30 days’ notice in the rest of the state. How much should I be paying in rent & utilities? In many subsidized and assisted housing programs, your landlord or housing authority cannot charge more than 30% of your adjusted income for rent and utilities. Your landlord (in the case of HUD housing) or housing authority (in the case of public and section 8 housing) must adjust your total income by subtracting a certain amount for each child, elderly person or disabled person in the household. Your landlord or housing authority may also have to subtract childcare expenses, handicapped assistance expenses and medical expenses. Once your landlord or housing authority determines your rent, he/she must subtract a certain amount for utilities if you are responsible for paying the utilities. If your income is very low, you may qualify for help with your utility bills. If you or a family member is disabled and you have a live-in aide residing with you, your live-in aides’ income is not counted as household income and cannot be used in calculating your rent. Contact your landlord, housing authority, or the Maryland Legal Aid Bureau about utility assistance. What if the Housing Authority does not pay their share of my rent and I am a section 8 tenant? The tenant is not responsible for payment of the portion of the rent to owner covered by the housing assistance payment (HAP) under the HAP contract between the owner and the Housing Authority, as long as the HAP contract has not been terminated. If the housing authority fails to pay the housing assistance payment to the owner it is not a violation of the lease between the tenant and the owner. During the entire term of the lease the owner may not terminate tenancy for nonpayment of the Housing Authority housing assistance payment. Remember that it is considered fraud for the landlord to collect any money above the tenant share of the rent as established by the housing authority. If the landlord does collect any other charges or fees from the tenant, these must be approved by the HAP contract. What is the annual Recertification of Income? Every year your landlord (in the case of HUD housing) or housing authority (in the case of public housing and section 8 housing) has to contact you to make sure that there is no change in the number of people living in your household and your family income. This is called "recertification." Your landlord may do an earlier recertification if your landlord believes that your income or household size has changed. Before recertification, your landlord will send you a letter. If you do not answer the letter, you will receive a second letter. If you still do not answer, there are serious consequences: if you live in HUD housing, your landlord will raise your rent to the full market rate charged and the majority of your rent will not be covered by the government, making you solely responsible. If you live in section 8 housing, the housing authority will terminate your section 8 voucher (you have a right to dispute any attempt by housing authority to terminate your voucher). If you live in public housing, the housing authority will terminate your tenancy and institute eviction proceedings (you have the right to an informal and formal grievance to dispute the housing authority’s decision to terminate your tenancy and institute eviction proceedings). Whenever the number of people in your household or their income changes, you must report it right away to your landlord. If you do not, you may be accused of fraud and can lose your housing assistance or even be charged with a crime. You may also have to pay charges for back rent. If you did not report changes in the number of people in your household or their income, but did not do so on purpose, the landlord must let you repay back rent. If the landlord does not let you do this, you should contact the Legal Aid Bureau. When your income or household size changes, your landlord will adjust your rent. If your rent goes down, the change will go into effect the first day of the month after you report the change in your income or household size. If your rent goes up, your landlord must give you 30 days notice of the increase, and the change will not go into effect until the first day of the month after the 30 days are up. Can my subsidized housing be stopped by the landlord? Sometimes a landlord is allowed to stop providing the kind of subsidized housing described here. If your landlord wants to do this, he/she must send you a letter telling you about it. There are things you can do to fight your landlord’s decision to end this type of subsidized housing, to stay where you are, or to make sure that you can find other affordable housing. If you hear that your landlord is planning to end a subsidy, you should contact the Legal Aid Bureau as soon as possible. Remember that you have a right to your affordable housing subsidy. Your landlord or housing authority cannot take away your section 8 voucher or evict you from HUD or public housing without “good cause.” To see definitions of “good cause,” click here. A judge must be convinced that there is “good cause” before you can be evicted. What do I do if there is a safety problem or code violation? Call the appropriate housing inspections office to have a housing inspector inspect the premises for possible housing code violations. Section 8 tenants should call their Section 8 advisor, or the Section 8 inspections office with complaints about housing conditions. A project based Section 8 tenant should call the area HUD office if the repairs to the property are not being made by the tenant’s housing development. The HUD office for the State of Maryland is in Baltimore. Their phone number is 410-962-2520. What criminal activity or disturbances might cause an eviction in public housing? Any drug-related criminal activity on or near the premises. “Other good cause'', such as a failure by the family to accept the offer of a new lease or revision; a family history of disturbance of neighbors or destruction of property; living habits resulting in damage to the unit or premises; the owner's desire to use the unit for personal or family use, or for a purpose other than as a residential rental unit; or a business or economic reason, such as the sale of the property, renovation of the unit, or desire to lease the unit at a higher rental. There is a statutory 90 day notice requirement if the owner is terminating the tenancy for a business or economic reason. What is the process for terminating the lease? Before your landlord can evict you, he or she must send you a written notice telling you the reasons why you are being evicted, that you have 10 days to discuss the eviction with your landlord, and that you have a right to defend yourself in court. The notice must be sent to tenant by first class mail, properly stamped and addressed to tenant at his address at the project, and with proper return address. A second copy must be delivered in person to any adult answering at the door of tenant’s unit. If no adult answers the door, the notice must be left under the door or attached to the door. If the landlord does not send you this notice, the landlord is not allowed to evict you. After sending you notice, your landlord must go to court before you can be evicted. Your landlord cannot change your locks, cut off the water or electricity, or move your belongings without going to court. Your landlord must wait 30 days after sending you the notice before going to court; then the landlord must prove that you broke your lease. You may ask for a jury trial, but you must ask before the judge hears the case. Remember that if you fail to object to a termination notice it does not mean you waive your right to contest the termination in court. If you receive a court summons or eviction letter, you should contact an attorney as soon as possible. If your landlord agrees to let you stay but wants you to sign a written agreement, you should contact an attorney before signing it. You may be eligible for free legal services from the Legal Aid Bureau, a law school clinic, or a "pro bono" project.